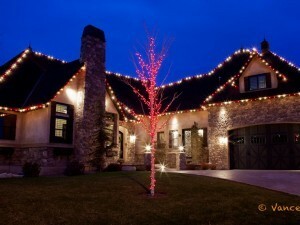 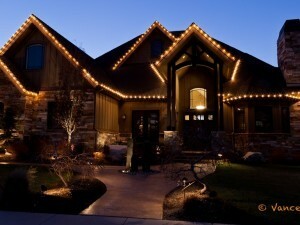 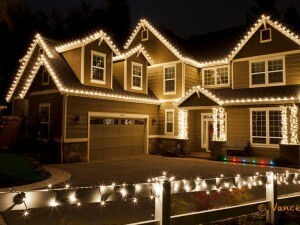 C9 Lights decorate the house while the fence is wrapped with mini lights. 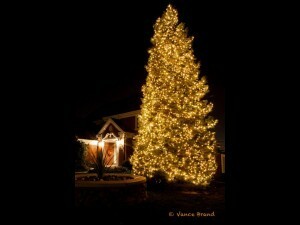 This Christmas tree is on the corner of the neighborhood block. 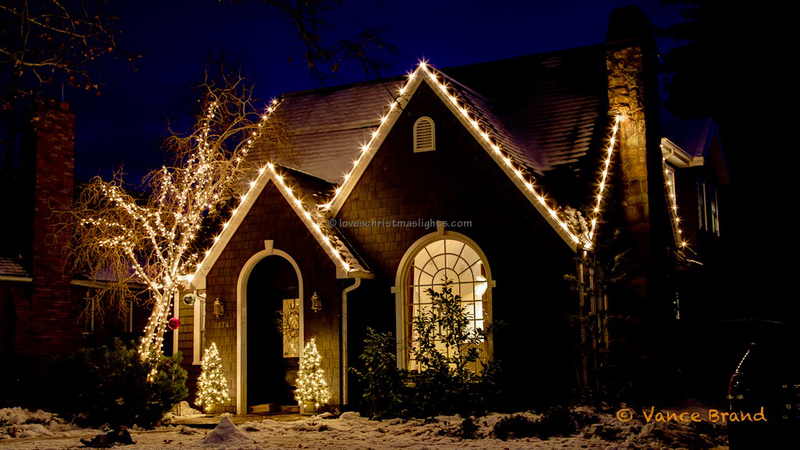 The rooftop is decorated with Christmas lights in a peppermint pattern. 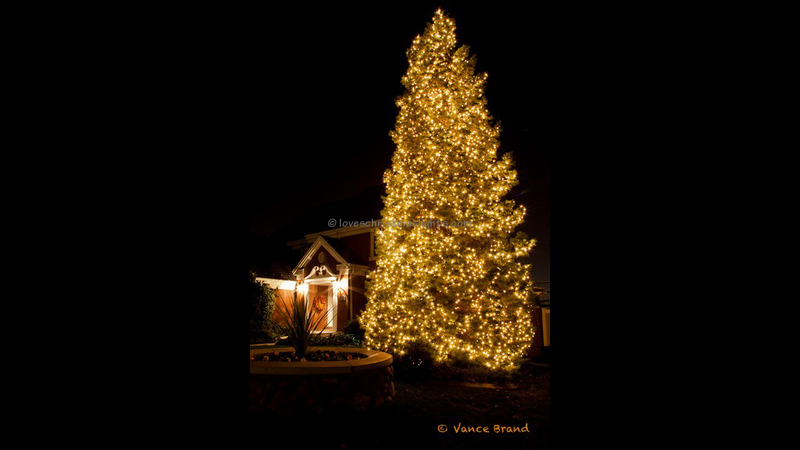 A 30' Christmas tree decorated with mini lights. 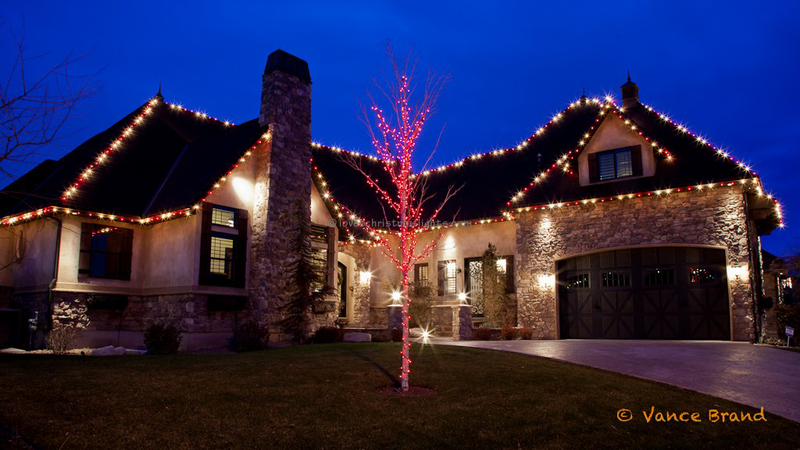 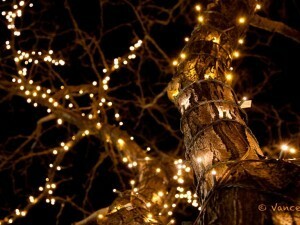 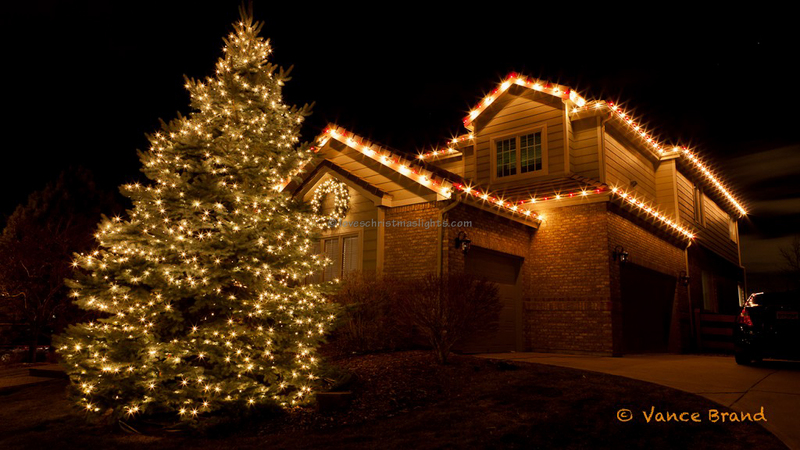 The trees and bushes are decorated with Christmas lights. 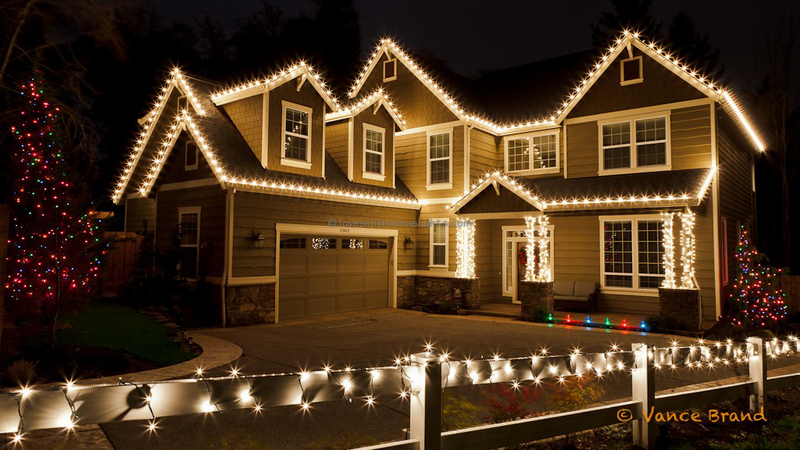 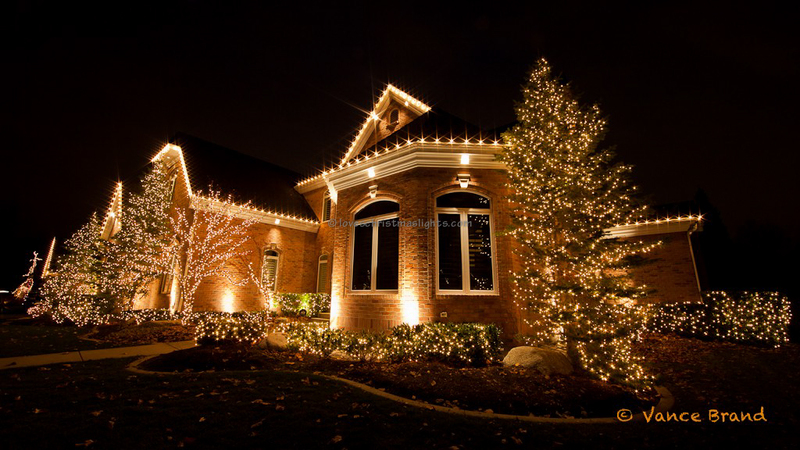 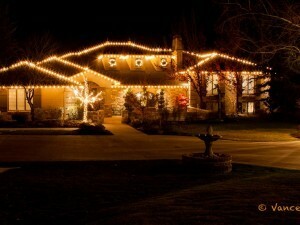 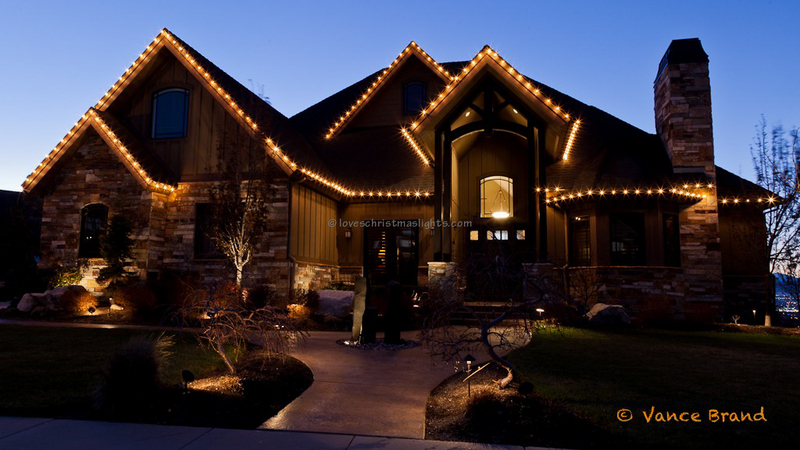 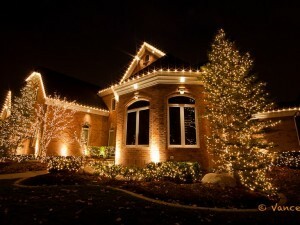 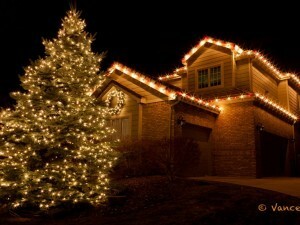 A standard Christmas light display with lights on the eaves. 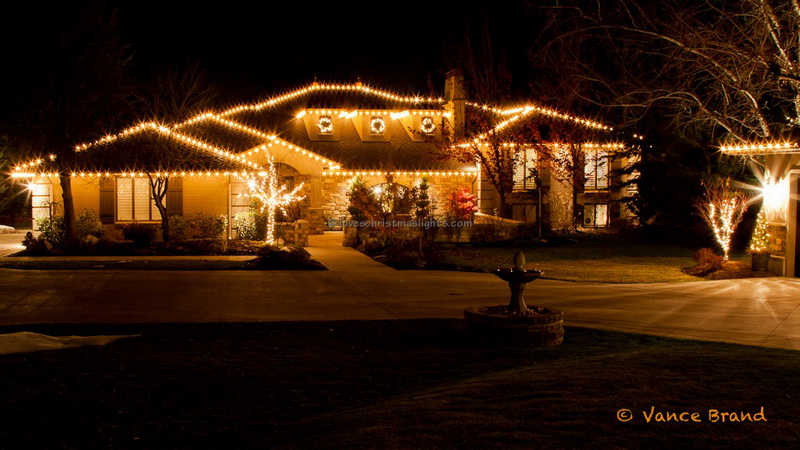 The rooftop of this home is decorated with Christmas lights. 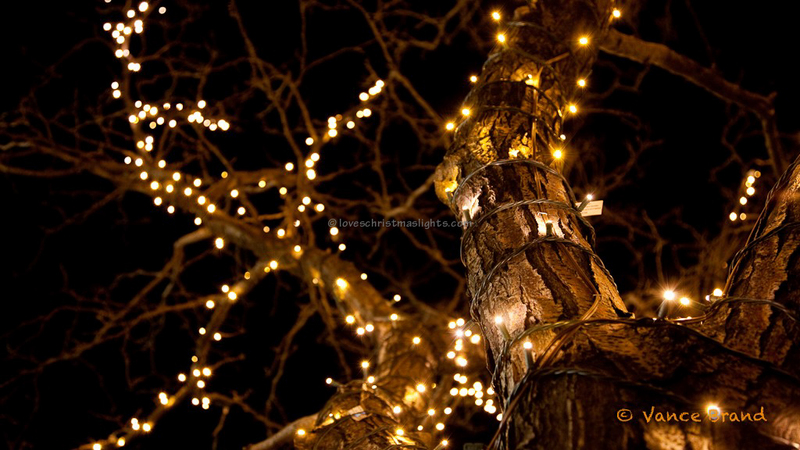 Wrapping branches of a tree with Christmas lights.